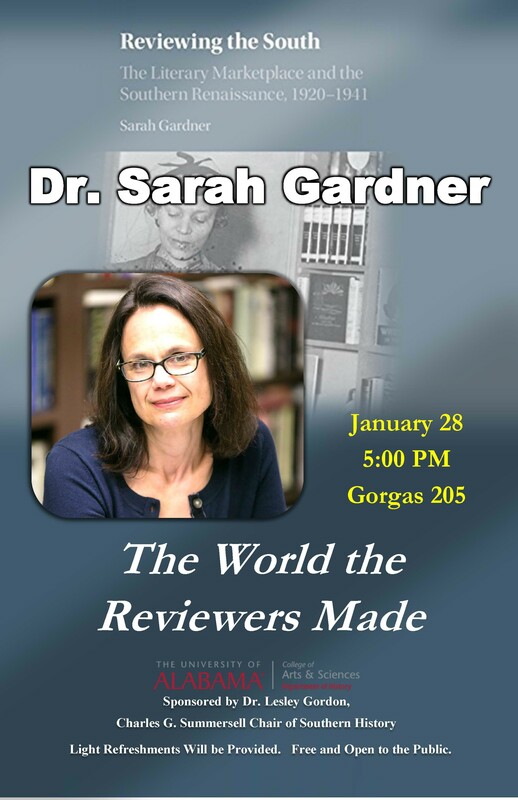 Please join us for an evening with Dr. Sarah Gardner, Professor of History at Mercer University, on Monday, January 28, 2019, from 5:00-6:30 PM in Gorgas 205. In her talk, entitled “The World the Reviewers Made,” Dr. Gardner will be speaking about her most recent book, Reviewing the South: The Literary Marketplace and the Southern Renaissance, 1920–1941 (Cambridge University Press, 2018), which examines the modern commercial book industry and its role in shaping the Southern Renaissance during the Great Depression. Currently, Dr. Gardner is finishing a book that examines reading during the American Civil War. 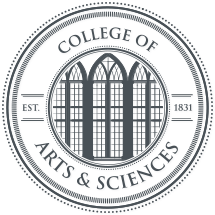 Sarah Gardner is Professor of History and Director of Southern Studies at Mercer University. She edits the Mercer University Lamar Memorial Lecture Series for the University of Georgia Press and is the author and/or editor of numerous works, including Blood and Irony: Southern White Women's Narratives of the Civil War, 1861-1937 (UNC Press, 2006) and Reassessing the 1930s South, with Karen L. Cox (LSU Press, 2018).